RETAILER Sports Direct has said it is determined to maintain its strategic investment in Debenhams, despite taking a £85 million hit on its stake in its full-year results. 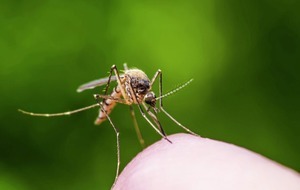 The company blamed tough comparatives and the writedown on its stake in the department store chain for dragging full-year profits down 72.5 per cent - to £77.5m in the year to April 29, from £281.6m a year earlier. However, Jon Kempster, Sports Direct's finance chief, said the company still had plans to work collaboratively with Debenhams. Speaking to the Press Association, Mr Kempster said: "We still think there are reasons to be positive. "They have a presence in Scandinavia, where we are not as well-represented. You go into these things to execute what you tried in the first place." Debenhams owns Danish department store Magasin du Nord, but has said it is seeking to sell the business to shore up its balance sheet. Sports Direct increased its total stake in Debenhams to 29.7 per cent in March, bringing it close to a level at which it must launch a takeover bid. But a recent reduction in Debenhams' value meant Sports Direct took a £85.4m hit as a result - having been offset in part by investment income. The total loss on that investment was otherwise £98.1 million. The company also has strategic investments in businesses including Goals Soccer Centres, French Connection, and House of Fraser. Sports Direct said comparative figures from a year earlier were tough to match, having been boosted due to its sale of JD Sports shares and the disposal of the Dunlop brand. The loss of Dunlop also hit revenues from its wholesale and licensing division, which dropped 22.7 per cent to £186.3 million, but the disposal eased operating cost pressures which decreased by 31 per cent. Total group revenue for the period was up 3.5 per cent at £3.4 billion, though its UK sports retail sales fell 2 per cent to £2.2 billion. Speaking about the latest figures, Sports Directo founder Mike Ashley highlighted the group's underlying profits. 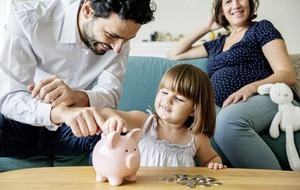 "I'm pleased that our underlying EBITDA has come in at the top end of our expected range at £306.1 million as we indicated this time last year, and also that the underlying profit after tax has increased substantially to £104.9 million," he said. 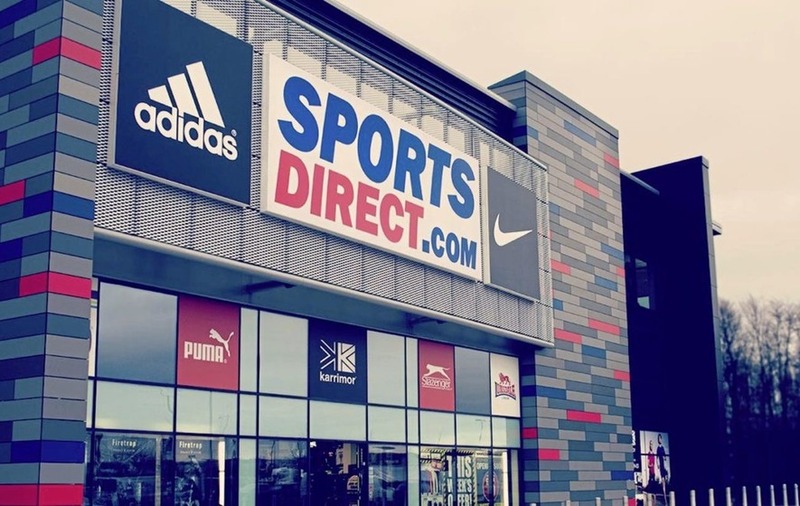 Sports Direct is likely to benefit in the next financial year from the sale of its remaining stake in JD Sports, after the sportswear rival completed its takeover of The Finish Line. 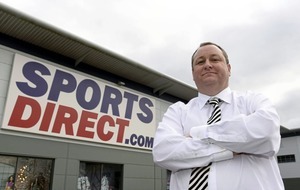 It helped Mr Ashley's business net £45.2m in proceeds. Commenting on the full-year results, analysts led by Liberum's Adam Tomlinson said it was a "strong outcome", having been nearly 23 per cent ahead of their own forecasts. "When one considers the heavy lifting as the strategic shift to the elevated store and online offering continues and the retail backdrop during the year, this is a commendable achievement with revenues marginally higher. "Tight control on costs and benefits from infrastructure investment and automation has started to deliver efficiencies in the UK and Europe," he added.